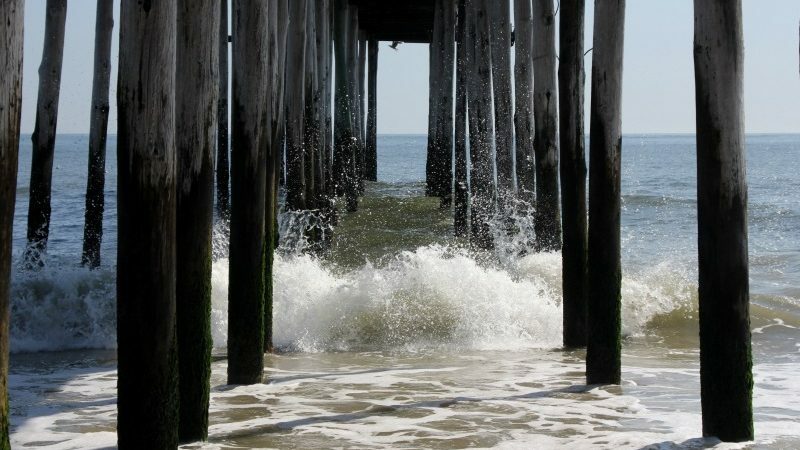 No matter where I go, I always look for this classic pier shot for my photo album. Photo by Melody Pittman/Southern TravelingMom. Myrtle Beach is one of the top family beach destinations in the country and can totally be done on a budget. Just ask Southern TravelingMom Melody, who has vacationed and owned a home there for over 40 years, and she will share some of her favorite and lesser-known places to visit. Let’s do Myrtle Beach on a budget. A beautiful day for sunbathing at Myrtle Beach. Photo by Taylor Hardy. Myrtle Beach is a popular vacation destination for families. With so many great attractions, a favorable climate, and hundreds of places to stay, who wouldn’t want to vacation there? 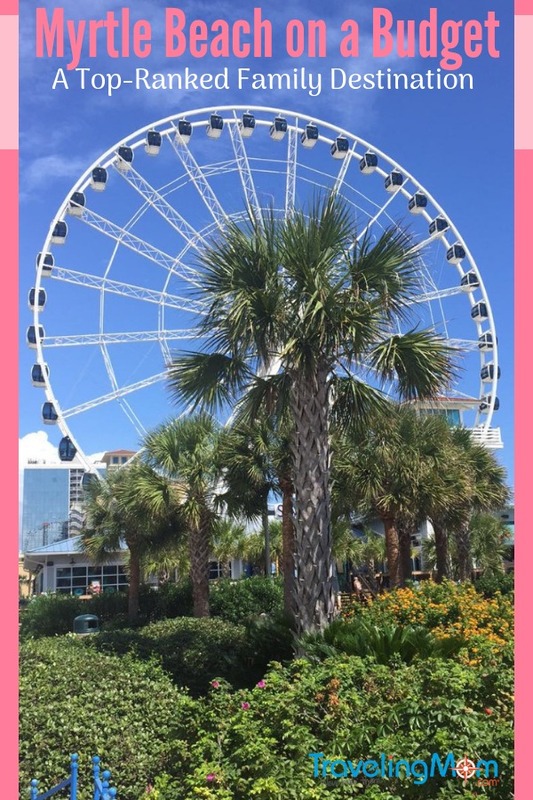 Over the past few years, we have watched prices skyrocket in this heavily sought after destination so we thought we would share our tips for doing Myrtle Beach on a budget with you. Having spent yearly family vacations in Myrtle Beach and then owning a condo there for years, my family and I know a few things about the area. Consider these things when booking your vacation and try to save a few bucks whenever possible. 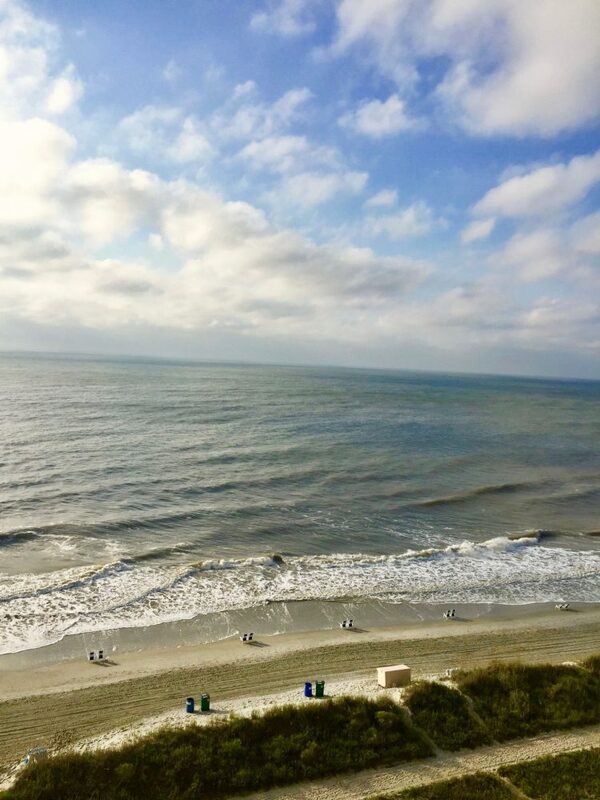 Myrtle Beach hotel rates are sky high during the season, especially on “the strip,” or Ocean Boulevard, so if traveling off-season is an option, that is definitely your best pick. If you have to go during the months between June and August, consider an Airbnb or even camping, a popular way to explore Myrtle Beach through a variety of family-friendly campgrounds. 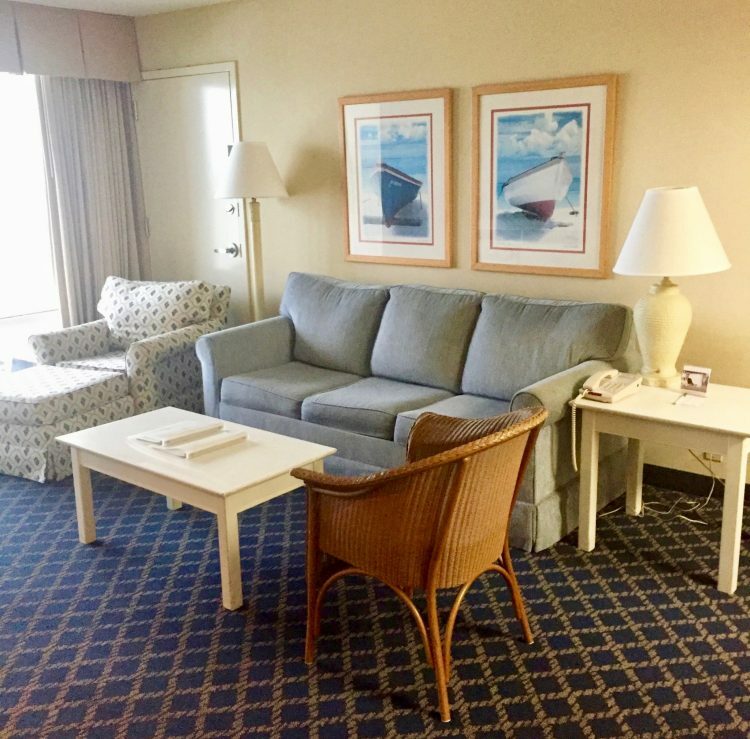 We have found some great rates at Hampton Inn & Suites Oceanfront Resort, where rooms have a living room, kitchen, and dining area. We especially liked having a balcony with rocking chairs to enjoy the ocean view. Kids will love the outdoor playground, lazy river, plus outdoor, indoor, and kiddie pools. This will be a big money saver when you consider the hours of entertainment that the hotel amenities will provide. Did I mention that breakfast is also included for the whole family? Score! Anytime you stay at a place with a kitchenette or efficiency, you save money by cooking your own meals. This doesn’t have to be a stressful situation; think sandwiches, cereal, even microwave items if you really want to relax. This is one of my favorite ways to save money and do Myrtle Beach on a budget. A clean, no-fuss, and convenient location with that kitchen option is Sea Echo, a motel that has remained true to its customers since the 1980s. Spacious living room area for the family to spread out at the Hampton Inn. Photo by Taylor Hardy. Amusement parks in Myrtle Beach have come and gone, but Family Kingdom has withstood the test of time. This seaside amusement park offers an unlimited pass for their 38 rides at $27.95 per person/child per day that will keep the kids scrambling from ride to ride and the energy level high. Opt to buy individual tickets, but that can be expensive if you wish to enjoy more than a few rides. Add an all-day Splashes Water Park pass for $9.95 more. You can also visit the water park without going to Family Kingdom for $19.95 each for those over 2 years old. or $19.95 each. Sign up on Family Kingdom’s website for money saving park coupons. Free concerts are available at North Myrtle Beach (Music on Main) on Thursdays from 7 to 9 PM and the Myrtle Beach Boardwalk, Monday through Saturday, both during the summer months. There is often face painting and balloon animal options for the kids, while adults can enjoy talented musicians and live music. 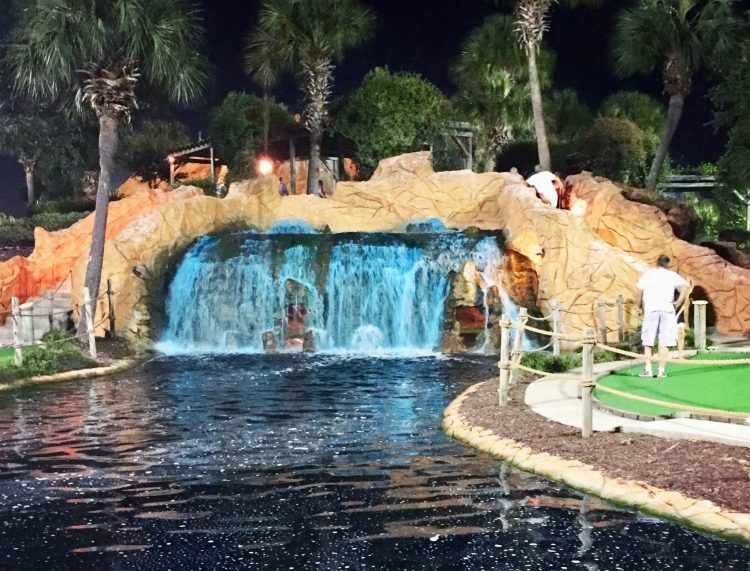 You probably won’t be able to drive through Myrtle Beach without your kids begging to play mini golf at one of the many enticing courses. I recommend shopping the coupon booklets (Sunny Day Guide or Monster Coupon Book) to find a few bucks worth of savings. My kids always want to play mini-golf where there is blue water; no substitutes. Photo by Taylor Hardy. Myrtle Beach has many great local restaurants with fair and affordable prices, which I’m a big fan of. If you stay away from the seafood buffets and steakhouses, you can eat relatively cheap. My family loves having breakfast out, but we can cook that one pretty cheap, so we prefer to go out for lunch. Many dining spots offer lunch prices, significantly cheaper than the dinner prices. If you must go out for breakfast, try to hit the early bird specials (6:30 to 8:30 AM) at Johnny D’s Waffles and Benedicts, where $5 plus tax gets you a choice of 6 meals and includes a drink. Locals swear by Johnny D’s as the best breakfast and deal in the Myrtle Beach area. 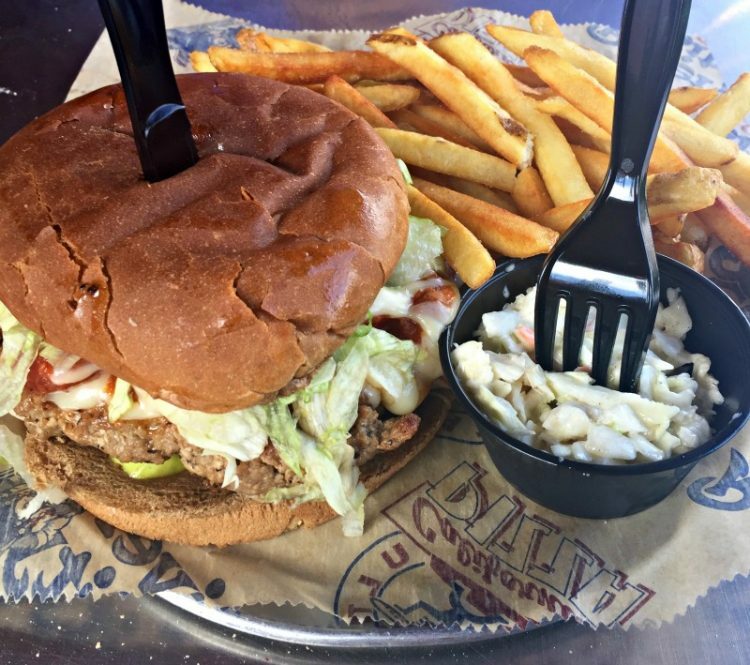 A few restaurants we recommend for yummy food and great prices are River City Cafe (delicious burgers and hand-cut fries for under $10), Ultimate California Pizza (every pizza is amazing! ), and Nacho Hippo (family-fun and colorful Mexican eatery with live entertainment). Prosser’s BBQ is another local favorite, offering a lunchtime buffet for $9.95 (dinner is $14.95). The buffet has a few meat options, several sides (great mac and cheese), and desserts. River City Cafe is known for their burgers and fries, but I’m a big fan of the Mahi-Mahi Reubens, Rachels, and onion rings. Photo by Melody Pittman/Southern TravelingMom. Tanger Outlets has two locations (Highway 17 and Highway 501) with hundreds of shops and deep discounts on clothing, household accessories, and pretty much anything you are looking for. Pick up a Tanger Outlet coupon book for additional savings, found at several restaurants and the Myrtle Beach Visitor Center. Barefoot Landing and Broadway at the Beach are two other popular shopping options, as well as awesome places to walk around and just enjoy the climate and scenery in Myrtle Beach. Be sure to stop in the Christmas stores and Broadway Magic stores, which I’m always a sucker for. While you are at these two complexes, kids will love feeding the fish and ducks. Visit Hudson’s Flea Market for junk (or another man’s treasures) in the largest covered open-air market in the area. You can find some amazing bargains here as well as a huge hodge-podge of stuff. Definitely keep this market in mind for rainy day activities, too. 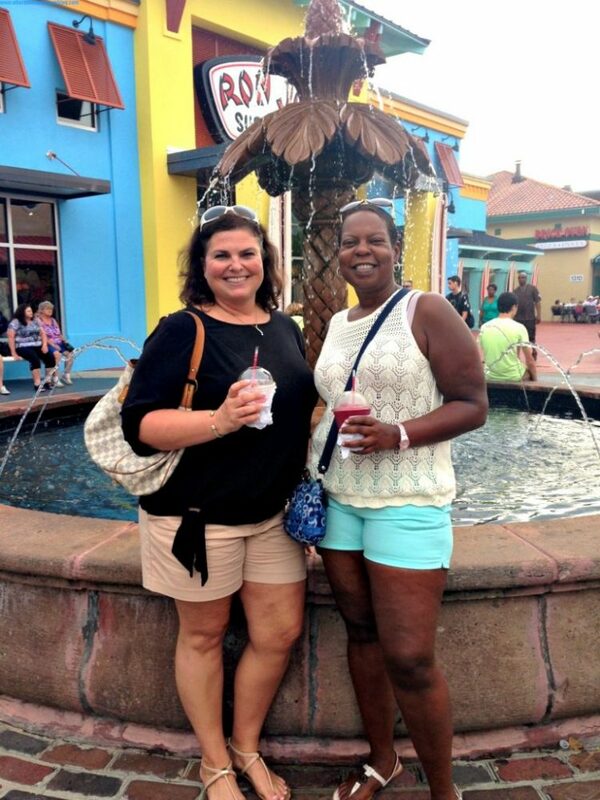 Enjoying adult wine-slushes at Broadway at the Beach with my friend Kim. Photo by Melody Pittman/Southern TravelingMom. What was formerly known as the heart of Myrtle Beach is now referred to as the Myrtle Beach Boardwalk, lined with shops, restaurants, old-school arcades, and plenty of family-friendly attractions such as Ripley’s Believe It or Not, Haunted Adventure, and Mirror Maze. You can also ride the Myrtle Beach Skywheel in this part of town. For $14 per adult ($9 for kids), you’ll have great photo opportunities of the Atlantic Ocean and downtown Myrtle Beach from the fully-enclosed gondola. It is our favorite way to get great shots of the ocean and beach. Watch for discounts online and in the Myrtle Beach guidebooks. Of all the giant Ferris wheels around the country now, the Myrtle Beach Skywheel is my favorite. Photo by Taylor Hardy. 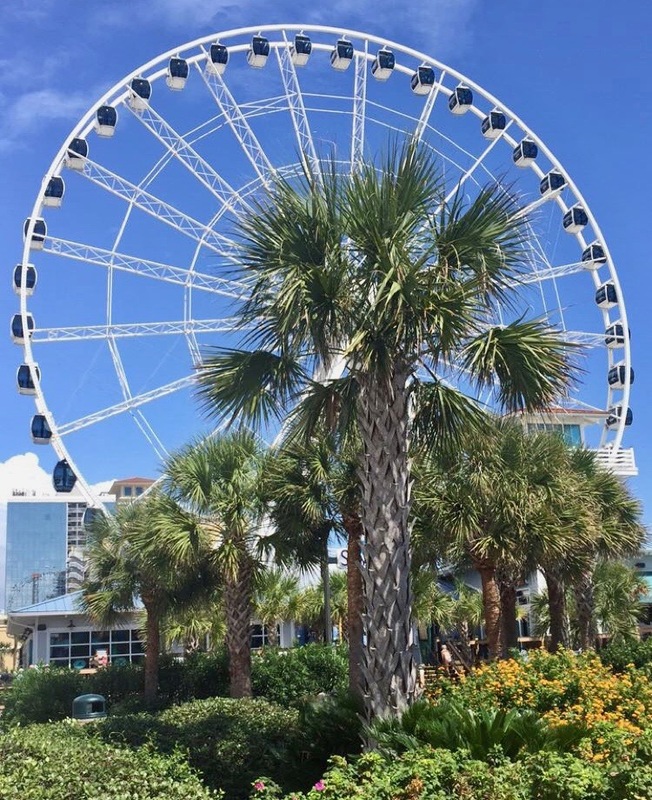 If you haven’t been to Myrtle Beach, South Carolina, you haven’t witnessed the Southern charm and plethora of family-friendly attractions that keep families coming back year after year. The ocean and beach might be a big draw, but that isn’t the half of it. We hope you have learned some ways to do Myrtle Beach on a budget from our experience. Happy travels. This is an updated version of a post originally written by Sarah Pittard. 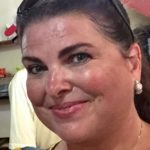 Melody Pittman is a blogger and travel writer from Vero Beach, Florida who is on a quest to conquer all 50 states and visit as many countries as she is years old. To date, Melody has visited 44 states (12 to go) and 48 countries (1 to go). She and her daughter, Taylor Pittman Hardy, write about luxury travel, culture, and food on their blog, Wherever I May Roam. After years of traveling big cities both locally and abroad, Melody is now finding that her passion is exploring the Southern charms of small towns across the country. She loves exploring the local festivals, museums, bed and breakfasts, and the concept of buying and eating local. Pinned! We would love to visit Myrtle Beach. Only one Myrtle Beach experience in my travels but with your tips, ought to try again. Clear, happy memory of basic Crayola color umbrellas on the beach.